I'm especially thinking of all my wonderful blogging friends. of these amazing, kind, and supportive bloggers. a lovely time this beautiful Christmas Day! daughter Deirdre and her new husband Will. and a light dust of powder drifting down. On this Christmas day I thought I would share two things. Dad held for his Indian children at his school. if you look at the snow too long. the snow squeaked when you walked on it. to keep the engines from freezing up. in North America for that matter. to the Huron Indians from 1626 to 1649.
during the mid-seventeenth century starting in 1642.
they burned him at the stake. and Father Étienne de Villeneuve recorded them. 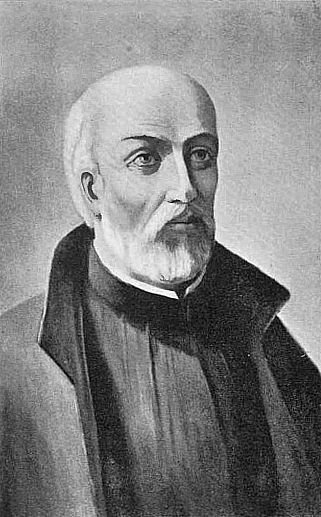 papers after his death in 1794.
and canonized him as a saint in 1930. 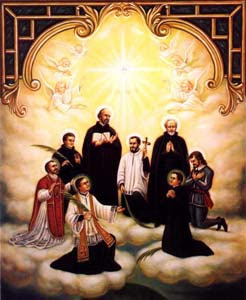 Seven other Jesuit missionaries were canonized with him. 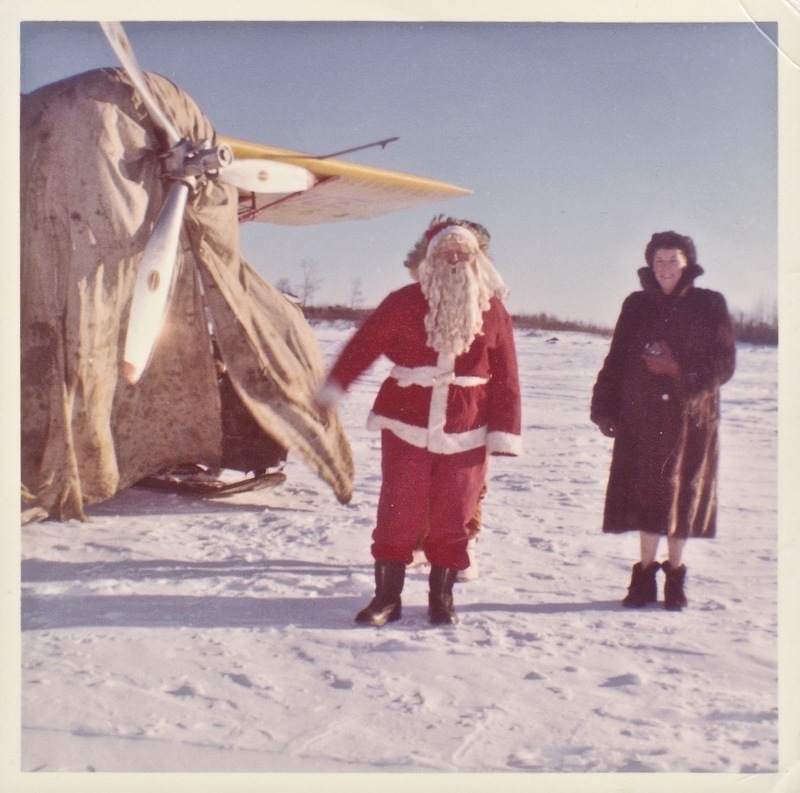 when my family went North in early 1961. The carol is an example of inculturalization. of the Indians to teach them about Christianity. that priests and ministers still used inculturalization. And here are the complete lyrics to this beautiful Canadian carol. I have chosen the 1926 English version by Jesse Edgar Middleton. On the helpless infant there. Enjoy the rest of your holiday season. 1. 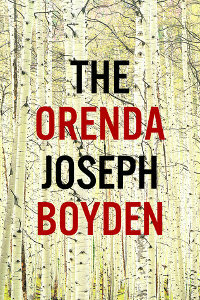 Joseph Boyden, a Canadian author, wrote The Orenda. in the early to mid seventeenth century. Christophe's character is based on Father John de Brébeuf. Sounds like a grand way to spend christmas indeed at your feed. Santa's sleigh must have broke down that day lol Merry Christmas. Merry Christmas, Pat! LOL! I hope your day was fun! 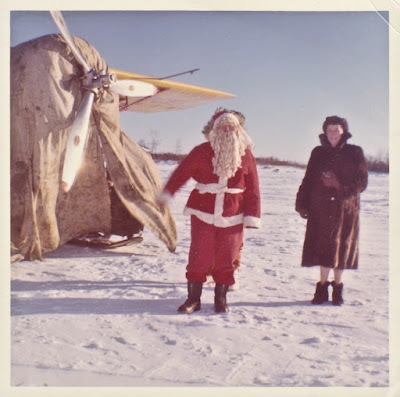 Imagine Santa arriving by ski plane, was the engine cover made from reindeer skins? Enjoy Breckenridge. snow, family fun time and all else. Christmas Greetings to you and Terry. Google tells me you have -6C, at 3 p.m. Friday. Beautiful for the sleigh to land. Merry Christmas, Jean! Thanks for your kind wishes. I think the plane was covered with a heavy tarp, but it certainly looks like skins. I hope that you and Hugh had a lovely time with your family and loved ones! I had a blast, Adam! I hope that you, Daisy, and your family had a wonderful time too! Merry Christmas, Linda! You are such a delight, and I treasure your friendship! I hope you had a great day too! What a rich history you present, and present so well. All my best wishes and appreciation. Thanks, Geo! Merry Christmas to you and Norma! I hope you had a lovely day! Love that photo of Santa up at Lansdowne House! I bet that was a fun time for all! I learned the Huron Carol when I was a little girl. It's still one of my most favourite Christmas carols. If you get the chance, listen to Bruce Cockburn's recording of it -- he sings it in both English and in the Huron language. I hope you and Terry had a wonderful Christmas! Best wishes for 2016! Thanks, Debra! I will absolutely listen to Bruce Cockburn's recording! We had, and still are having, a wonderful time here in Breckenridge. And this time, for the first time ever, I got to FaceTime with my family up in Calgary. That was so much fun to actually see my family. Of course, they were all laughing at me, because I'm just learning to use my first iPhone, especially the NexGen. I hope you and your Rare One had a fun time! This is by far one of the best places to hang with friends, have great drinks (amazing beer selection), eat some great food, including the great lunch I had there. Prices at New York venues are very reasonable and the pizza was awesome. Thank you so much for sharing your favourite Christmas carol, Louise. It is quite lovely and I can see how it would impact you as a child. Trusting you and Terry are having a wonderful time in Breckenridge. All the best of the season to you both. Hi, Jim! I'm trying to catch up on everything after some serious computer issues that have taken me several days to resolve. everything went to hell on Boxing Day! We had the best time in Breckenridge! I hope all is well with you! Your description of the snow is beautiful! It makes me think back to those days growing up in the northern Midwest of the U.S. I do miss watching the snow fall, but I just can't handle the cold any more. I remember the sound of snow squeaking when it was cold enough!! Hi Tess! Thanks for your kind comment! I'm finding the cold harder than I used to for sure. Terry and I did manage a walk in Breckenridge on Boxing Day when it was about 6º F. Thank goodness for silk long johns. Happy New Year to you! You're right, Carol! I don't mind bouncing comments, I'm pretty good at them myself! I'm glad that you, Bill, and BJ had no problems because of the earthquake. Sounds like a great plan you have for blogging. I was just starting to catchup when my computer went on the fritz: I couldn't control my cursor, screens were randomly switching and jumping around, the screen was randomly changing sizes. I spent about 10 hours over several days just to be able to access my blog and type a comment. I have an Apple Genius appointment and I'm hoping that they won't have to take my computer for several days! No advice, sorry! I am realizing that there is a lot of help online. Have a wonderful New Year. I hope to be able to visit all my blogging friends later today. I must face the grocery store! LOL Have a good one! A very Happy New Year to you!! Thank you, Glo! My computer has been down, but I'm now back in full operation. Happy New Year to you! What a wonderful post. I especially love the Santa picture!